A divorce based on irreconcilable differences in Tennessee must have a Marital Dissolution Agreement (MDA). An MDA is a written agreement between the divorcing parties that divides the property and debts equitably. The MDA must be signed by both parties and notarized to show that they are agreeing to a divorce and the division of assets. The Permanent Parenting Plan (PPP) is exactly what its name states, formerly referred to as “custody” in Tennessee. In marriages that produced children, in order for parties to receive a divorce, Tennessee divorce laws require a “permanent parenting plan” issued on court-approved forms which comply with certain strict statutory requirements including listing out in detail the responsibilities of each parent with respect to decision-making; where the children will be during weekdays, weekends, and holidays; how parents will make educational decisions; financial support; procedure by which the parents will handle disagreements ; and any other important child development issues per Tennessee Code Annotated 36-6-404. The facts of the Michael David Olson v. Jennifer Carlin Beck case are Olson (Husband) and Beck (Wife) married in June 2011 and have one child born in September 2009. Husband filed a complaint for divorce in December 2011, but never served Wife the complaint. In April 2012, Wife obtained an order of protection against Husband. 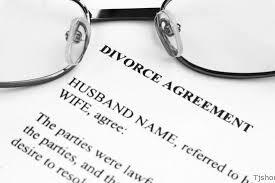 Shortly thereafter in May 2012, Husband filed and served Wife an amended complaint for divorce asserting grounds of irreconcilable differences and inappropriate marital conduct. Wife answered and counterclaimed for divorce on the grounds of irreconcilable differences and inappropriate marital conduct. At the hearing on Wife’s order of protection, the petition was dismissed at Wife’s request. The parties subsequently filed a marital dissolution agreement (MDA) and permanent parenting plan. On August 22, 2012, Wife filed a motion to set the case for final hearing. However, on August 30, 2012, Husband, through a new attorney, filed a motion to set aside the MDA on the grounds that Husband was entitled to receive possession of the residence in “good repair,” but when he took possession he had to make a number of repairs to the residence. According to Husband, Wife breached the contract, and he did not receive the benefit of the bargain. Wife opposed Husband’s motion and filed a petition to enforce the MDA. The trial court found that there was no clear and convincing evidence of a breach of the MDA, Husband’s motion was denied, and the court found the MDA to be an enforceable contract. But at the trial, Husband testified that he was repudiating the MDA. He argued that the marital residence was supposed to be returned to him in “broom-clean” condition, but Husband testified that there were problems with the house when he took possession. Wife’s attorney objected because he argued that these matters had been resolved at the earlier hearing. Husband then took issue with the permanent parenting plan (PPP). He stated that he repudiated the PPP because he did not believe it was in the best interest of the Child as it did not allow him sufficient parenting time. According to Husband, he and Wife had a verbal agreement to share parenting time equally, and that was what he wanted the trial court to order. But Wife testified that she was the Child’s primary caregiver and that Husband was not involved in his care. Wife believed that the PPP was in the child’s best interest and stated that she had never prevented Husband from seeing the child during his scheduled parenting time. Wife presented a chart showing the dates when Husband owed child support payments and when he had paid. According to this chart, Husband had only made seven payments, or $3,720.50, out of a total of $10,329.20 owed. In its final decree, entered on August 30, 2013, the trial court awarded Husband a divorce on the ground of inappropriate marital conduct. The court determined that it was in the child’s best interest for Mother to be the primary residential parent. Many of the provisions of the PPP originally agreed to by the parties were adopted by the court, but the court also made some changes, including the amount of child support to reflect Husband’s true income. The Court of Appeals of Tennessee at Nashville first tackled the MDA citing the Tennessee Supreme Court “A marital dissolution agreement is a contract and thus is generally subject to the rules governing construction of contracts. Because construction of a contract is a matter of law, our review of such issues is de novo with no presumption of correctness.” Thusly, the Court found that the he MDA between Husband and Wife is in writing, signed by both parties, and notarized; and its enforceability is governed by contract law. The Court stated Husband cannot repudiate the contract simply by withdrawing his consent prior to the Court’s approval. The Court does find that while the Court does not think or believe that Mr. Olson has committed perjury the Court does have some issues with his credibility. Mr. Olson, by his own admission, testified that he has more income than what he listed in the child support calculation worksheet. Ms. Beck, on the other hand, appeared to be very truthful in her testimony, and the Court finds specifically where the testimony of Mr. Olson conflicts with Ms. Beck the Court will give greater weight to the testimony of Ms. Beck. Accordingly, the Court affirmed the ruling of the trial court in all respects including awarding attorney fees to Wife.